When Classic Amiga couldn’t go any wider in game genres, Tracker Hero AGA makes sure that Dance Dance Revolution game genre for Amiga is taken also. In this game, as with Stepmania for Windows you use a Keyboard or Amiga CD32 controller pad to play this awesome MOD music game. This game is for two types of people. One type that likes to type a lot, and for others that loves challenges. You need to move your fingers to the beat and red dots in right colour should be pressed accurate. The more accurate you hit the right keys to the beat, the more points you will earn etc. Understanding Track Hero AGA is very straight forward. There is no menus that are hard to understand. The loading screen and song chooser screen is easy to understand. The game itself might be a bit tricky if you don’t read the tips it gives you, but once you know this game is easy to understand. On the keyboard you can use F1, F2, F3 or F4 keys. But you can also use the arrow keys. Including this, if you use a Amiga CD32 controller. That gamepad is supported because of its 4 coloured buttons that fits to the rythm of Track Hero AGA. 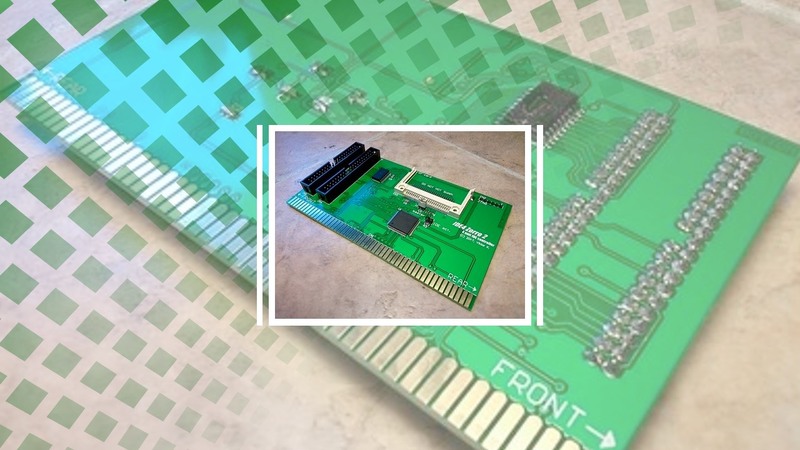 Willingham’s or PSX64 PS2 to Amiga adapter). 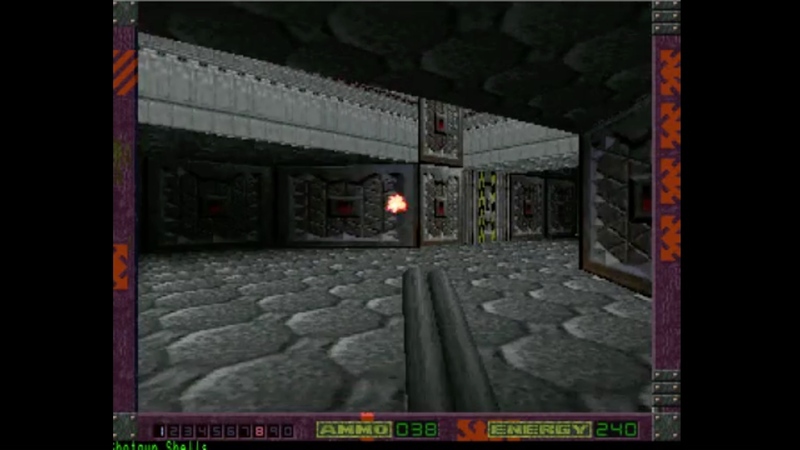 Now thats a really cool feature and makes my Amiga heart beat a bit more. Epic game got epic features on Amiga. Goodie! Game field. Keep your fingers on the right keys! The graphics and animations in this game are important. DDR, Stepmania and Guitar Hero have managed to set a standard. Tracker Hero AGA does this in a stunning way. The graphics, animations and gameplay never slows down even with tons of effects on the screen. In really Stepmania spirit, you listen to music created for computers having no issues with MP3 songs. In Tracker Hero AGA, this have been replaced with MODs which is so light for Amiga to play that even the oldest Amiga 1000 got no issues if it got enough chipmem. This game however requires a little more horsepower and 2MB of chipmem is recommended. The quality of MOD music is as good as those you hear in Stepmania. The titles and tones are a bit different, but the quality is stunning really. Also, the game itself and all animations makes this free to download game a must to have for all AGA Amiga owners. 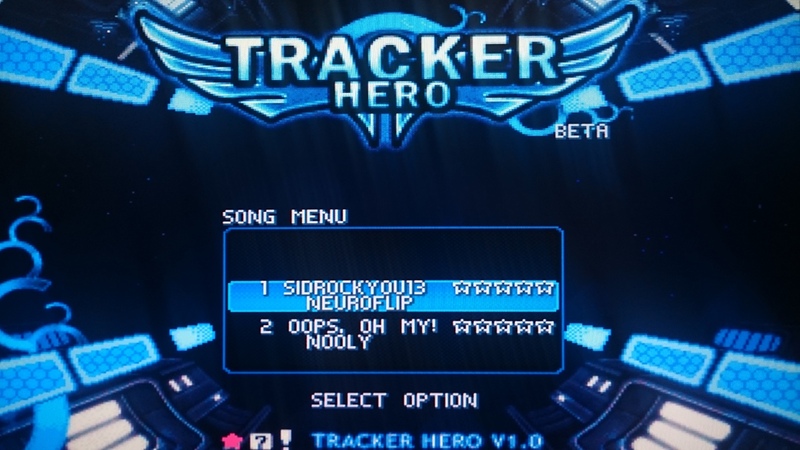 Tracker Hero is an awesome-to-must-have musical game for the Amiga, that uses MOD song files instead of MP3 giving in the little extra epic touch! This game for Classic Amiga is such a great product, that to be an Amiga user today is greater than ever. The biggest feature of this game is that it supports so many types of controllers and even DDR gaming mats and Guitars connected thru PS2 to Amiga converters. Whatever you think. Either Dance Dance Revolution or Stepmania. Track Hero AGA is for sure a gem, that should be played at all parties all over the world. MP3s are great, but MODs are way cooler in my opinion. The music is made by someone and it feels way more personal. Tracker Hero AGA is must have game in your collection and its totally free.